Blog Noisette....Working on the Chain Gang in North Charleston? Noisette….Working on the Chain Gang in North Charleston? Last night I was driving and listening to a broadcast of Johnny Cash’s Live from Fulsom Prison recordings with commentary from inmates and guards at the prison. 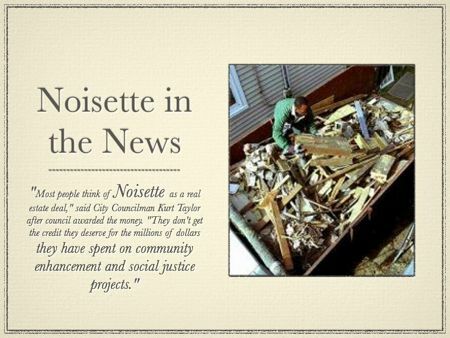 This morning I saw an article in the Charleston P&C about Noisette Foundation helping to rehabilitate prisoners by putting them to work on construction sites. The redevelopment of North Charleston continues to amaze me. The worst neighborhood is becoming the best neighborhood and the people who are skeptical just need to be better informed. The opportunities brought by development (in this case) are far outweighing any negative effects. The effort commonly associated with rehabbing buildings is now crossing over to rehabbing people. In the photograph below: Maurice Simmons, a graduate of the Lowcountry Civic Justice Corps, helps with the cleanup of a construction site on Cypress Street. The program is working; sending people out into freedom with skills they can use to keep them from going back to their old ways.